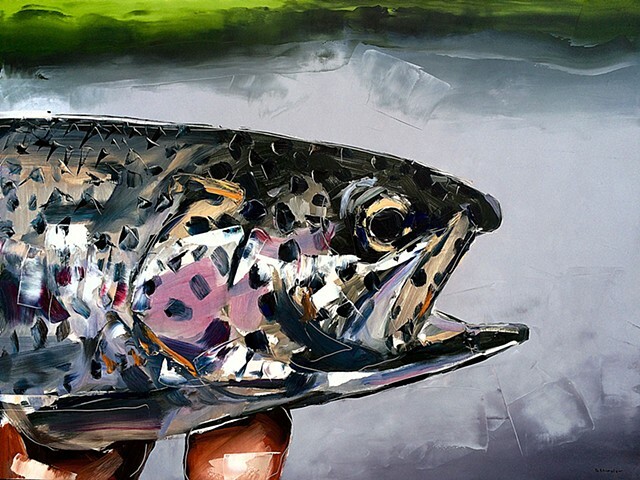 David Shingler - 'Rainbow Trout' 30"x40" Oil on wood. Commission painting for Trekka Outfitters. Fly shop in Chattanooga, Tennessee. 'Rainbow Trout' 30"x40" Oil on wood. Commission painting for Trekka Outfitters. Fly shop in Chattanooga, Tennessee.